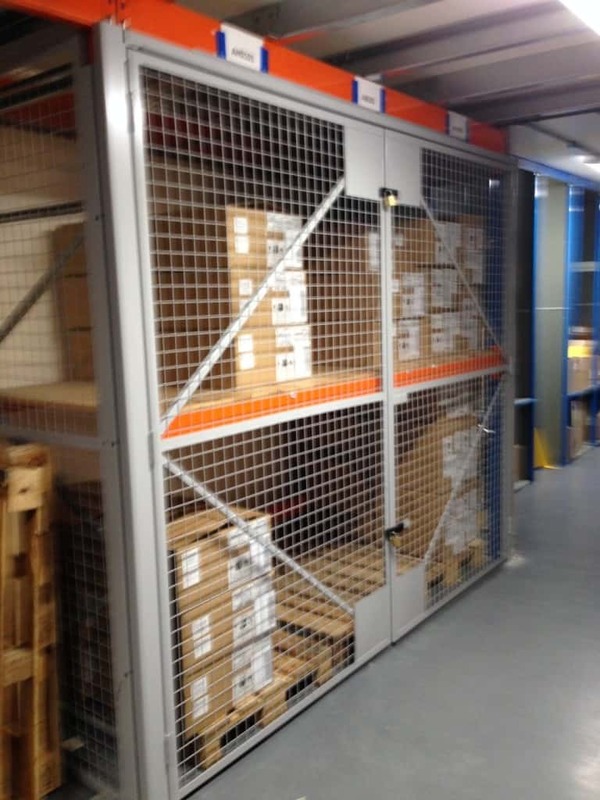 Storage and Interior Concepts of Melton Mowbray, Leicestershire have just installed 3 lock up caged areas under a mezzanine floor in Leicester. The cages are built around existing pallet racking bays for security purposes. Waste of Space, room to grow? With our intelligent space management and 21st century products we can boost the efficiency of your space. Quickly, smoothly and economically. With minimum disruption to your business, we can turn wasted space into new work areas, storage and production facilities. Mezzanine Floors – We can increase your storage capacity, design office interiors, build mezzanine floors & install mezzanine flooring for all facilities, boost your retail space and install the best UK pallet racking systems that will and revolutionize your warehousing. At a stroke. And its all down to our vast amounts of experience in the mezzanine floor installation space. Suspended Ceilings & More – We also specialise in everything from office lockers to industrial shelving to goods lifts to folding office partitions and mezzanine flooring of all kinds and as a leading UK suspended ceiling supplier there are few more experienced teams in the UK. With our end-to-end, turnkey solutions we can dramatically improve the operating efficiency of your business. For a budget-friendly price. For more information on any of our products, please call us today on 01664 410414.